I’m note sure who Donella wanted to read this book. The first chapters are like a basic introduction to logic thinking. Maybe her frustration with many of the economists resulted in an attempt to explain obvious things in a simple way? For most people I think the first chapters can be ignored (these chapters also have some strange over simplifications that make me wonder how much practical work Donella did and how much she spent in the academic world). 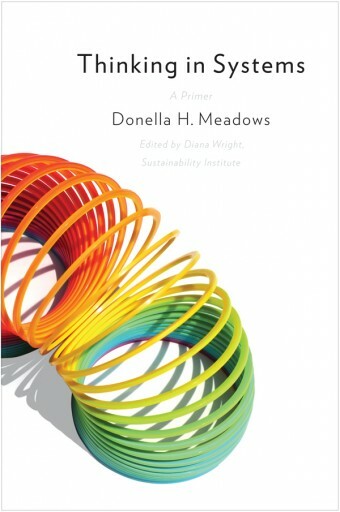 What Donella does very well is putting focus on the right thing, she explains that we “can learn how to look for leverage points for change”, and not any change but transformative change. Her list with 12 levels of change is a great inspiration and should be used more often than it is. It is also available on wiki here. So much of today discussion is about “Constants, parameters, numbers (such as subsidies, taxes, standards)” and very little is about the “Goal of the system” and even less about the “Mindset or paradigm that the system — its goals, structure, rules, delays, parameters — arises out of”. What is most rewarding with the book is the honesty and wisdom in the last chapters. The self-reflection and understanding that everything can not be calculated and planned, that what we need to “dance with the system” and that there is a need for those who dare to speak out even if they don’t always have numbers to put on their feelings. Few books have this kind of balance between being humble and still a strong call for action when it comes to the great challenges of our time. “If something is ugly, say so. If it is tacky, inappropriate, out of proportion, unsustainable, morally degrading , ecological impoverishing, or humanly demeaning, don’t let it pass. Don’t be stopped by the ‘if you can’t define it and measure it, I don’t have to pay attention to it’ ploy. No one can define justice, democracy, security, freedom, truth, or love. No one can define or measure any value. But if no one speaks up for them, if systems aren’t designed to produce them, if we don’t speak about them and point toward their presence or absence, they will cease to exist”.